After six weeks of traveling for work, Berlin welcomed me with open arms into its dark candlelit bars, and its gray graffitied post-communist architectured buildings. I lounged in coffee shops and wine bars writing with a pen and paper. I visited my friend's beautiful family, and walked around neighborhoods until I stumbled into a Christmas market or a museum. I will live there someday soon. In one such dark candlelit wine bar I met two friendly cute dudes. We chatted and exchanged numbers. One of them, David, and I met up two nights later and found we have many things in common. Like big dreams, believing in love, and sharing this all with a stranger in a foreign land. Maybe it is because we're both July Cancers. David was warm and very kind. He was the kind of person that you meet and trust immediately, and know he won't murder you when he invites you over to his apartment. Because he did, after many wines in a smokey bar, and I agreed. 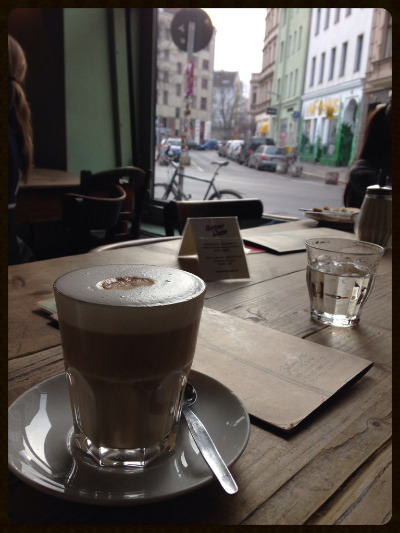 Somewhere in the middle of the Friedrichschain neighborhood of Berlin I shared a PG-rated cuddle with an Austrian.